QA1 offers spanner wrenches and thrust bearing kits individually and as a complete kit. Part #7888-112 is used for all adjustable QA1 shocks and economy GM Pro Coil Systems. 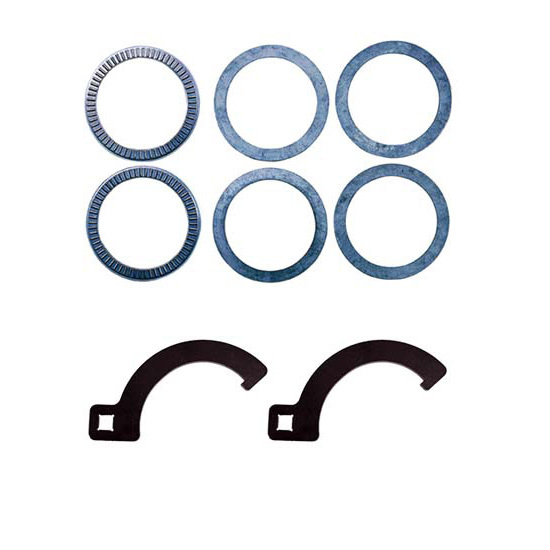 Kit Includes 7888-109 (2) Thrust bearings, (4) Washers to simplify adjustments and T115W (2) spanner wrenches for use with 3/8” drive ratchet.